Checking in with the taqueria. How has business been & what’s to come? 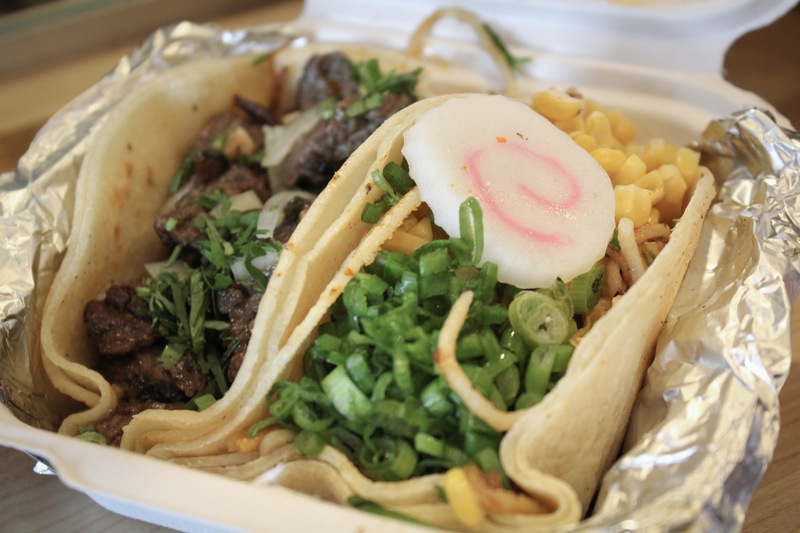 It’s been nearly two months since Taco Bamba’s University Mall location opened for business. Along with Fairfax, other locations of the taqueria are in Springfield and Washington, D.C., just to name a few. Chef Victor Albisu, owner of the franchise, is a Mason alum who fought for a spot across the Fairfax campus. There were many opportunities for Albisu to open a location near other college campuses. He passed on all of those to ultimately bring his hometown a taste of Taco Bamba. “It’s so nice to be back in the neighborhood and the Mason community,” said Albisu. Originally from the Fairfax County area, Albisu gives back through his range of traditional and unique takes on Mexican fare. The Taco Bamba menu includes simple tacos with carne asada, chorizo and barbacoa. Among those, some more quirky options are Ol’ Mick Nugget and Mr. Chow tacos. 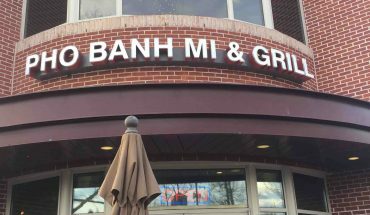 Some Mason students have frequented Taco Bamba, trying out its plenty options of food and drinks since the grand opening on Dec. 6. Senior communication major Lauren Sullivan and senior criminology, law & society major Tyler Seay shared that they went a total of three times to the restaurant on opening weekend alone. Sullivan is a huge fan of the taqueria, from their nachos and fries to their specialty tacos. 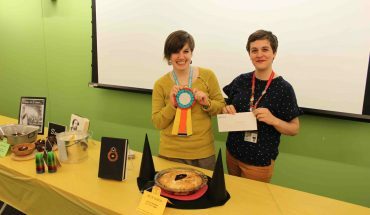 “The food is so fresh, tasty and affordable for college students,” said Sullivan. 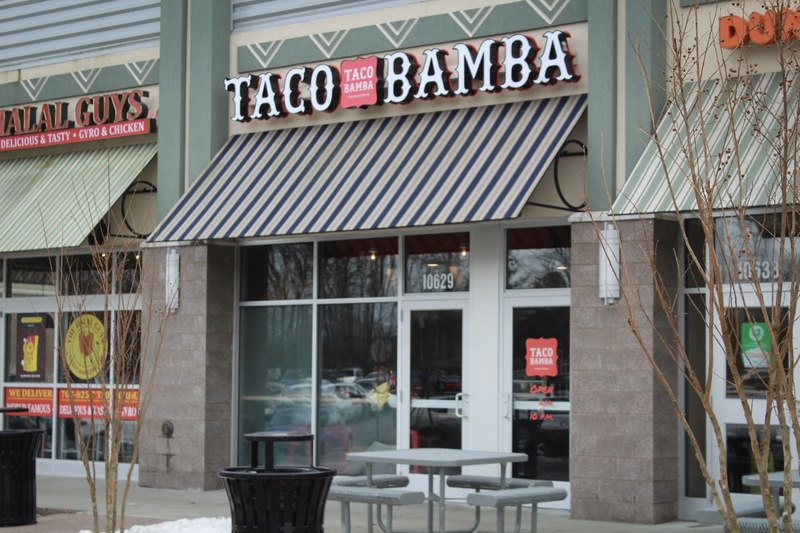 Seay says he had never had Taco Bamba prior to their opening at University Mall. “I try to get a new thing every time [I go] because everything sounds so good,” said Seay. With the store’s loud music, wide variety of menu items and non-traditional concoctions, Albisu says it’s not the “quintessential family restaurant.” Since Mason is where his creative ideas started to foster, the support Taco Bamba is garnering from the Fairfax community is rewarding both professionally and personally. “It’s super inspiring and it makes me gratified to be in [this] environment,” said Albisu. 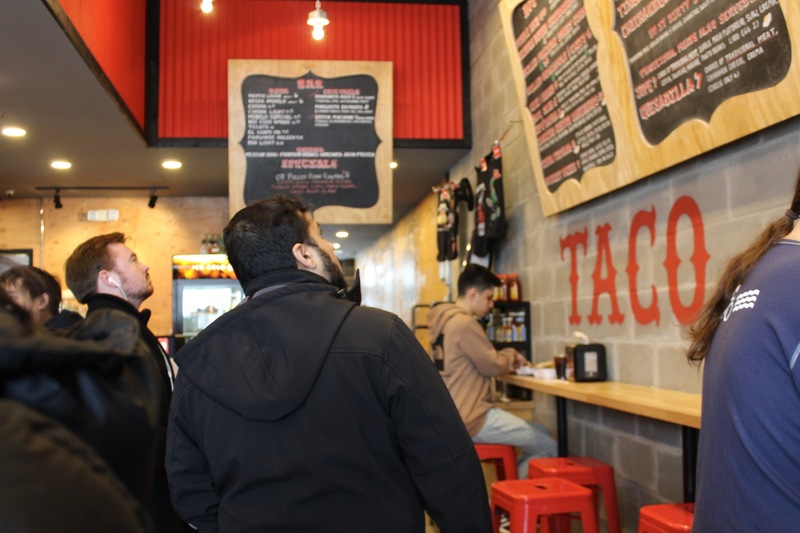 To see young adults in the area with big hopes and dreams, just like he did attending Mason—Albisu says this inspiration drives him to make Taco Bamba the best it can be. “We try our best to be very generous with our food, flavors and textures,” said Albisu. With this in mind, some new additions are making their way into the menu. 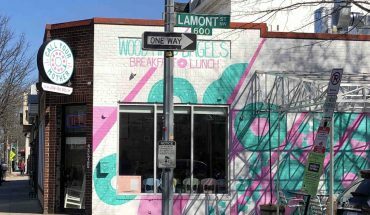 Moving forward, the taqueria is offering all-day breakfast items with hours of operation from 8:30 a.m. until 10 p.m. for the Fairfax spot. The all-day breakfast items include a breakfast taco, tinga tostada, carnitas huevos rancheros and more. While being generous with food options, Albisu is also slowly implementing a new and sweet addition to the menu—crispy churros. Since the grand opening, Albisu also shares that the top hits among customers are the Patriot fries, Robinson Ramen taco and the Savage Sub-mariner taco. Implementing pieces of Mason and the Fairfax area to his menu is just one of Albisu’s touches to personalize the location. The relationship Albisu and Taco Bamba has built with the local community is only starting, satisfying students’ cravings one taco at a time.